Ceramic art and traditions in Mexico date back from at least 13,000 BC, reaching their peak with the most advanced civilizations in Mesoamerica. From the Olmec civilization in the Preclassic Era, to the Classic period with the Mayas in the Yucatan Peninsula, the Zapotecs in the valley of Oaxaca and Teotihuacan in the central valleys of Mexico, to the Postclassic Period with the Cholultecas in Puebla, and Aztecs in the Central valley in Mexico, ceramics were considered one of the highest and most regarded forms of arts. The European invasion and conquest of the Americas severely affected the styles, decoration, forms, and techniques of native traditions; however some pottery forms have survived intact until this day, including comals, molcajetes (grinders), some basic cooking bowls and utensils, as well as censers. While some traditional pre-Hispanic style ware was still produced in the early colonial period in Mexico, its quality and aesthetics declined dramatically. The importation of European and Asian artifacts also influenced the ceramic styles in decoration and techniques, contributing to the flourish of new complex traditions such as Talavera (majolica) in Puebla. Most of the techniques of pre-Hispanic wares are not glazed but rather burnished and painted with colored fine clay slips, incorporating color by adding mineral pigments, which could be applied before and/or after firing. Building techniques include molding by pressing the clay against pre-existing shapes or molds, and sometime using slip casting with relief decorations such as the ones in Puebla and Tlaxcala. There are many known methods of decoration used in pre-columbian pottery including pressing designs into the clay with textiles, using stamps, pressing shells and sharp tools, etc. Local clay bodies continue to be used for traditional ceramic in Mexico with no additives, which makes the ceramic arts diverse, rich, and complex in traditions, styles, techniques, and qualities. The Pre-Columbian Ceramics Instructional Residency acknowledges the rich history of ceramics in Mexico by incorporating the knowledge of local building techniques, materials, and styles. 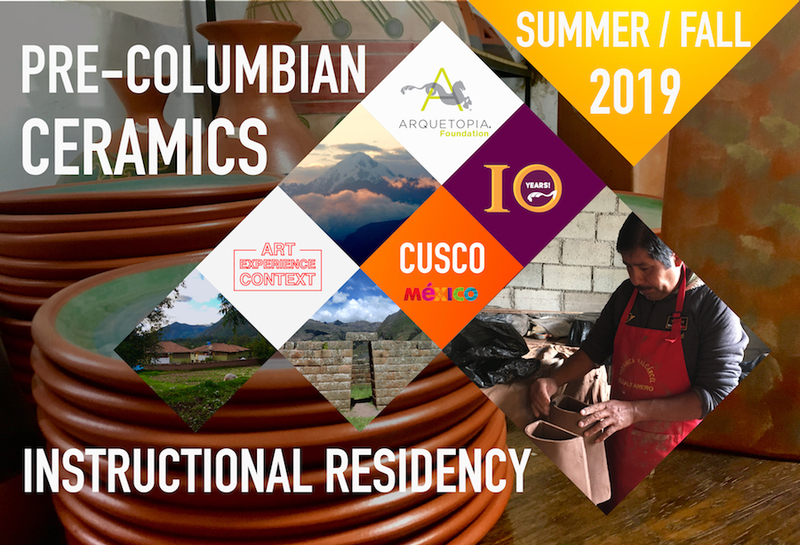 The 5-week program includes 3 weeks of master instruction (27 hours total; 9 hours per week) to learn the stylistic possibilities of the pre-Columbian ceramic traditions of Mexico. 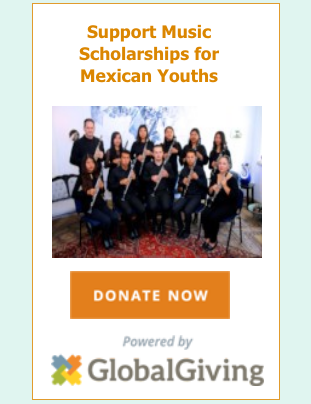 The program comprises hands-on instruction with diverse clay bodies from the region of Puebla and Tlaxaca. Instruction is in Spanish, focusing on learning and experimentation with traditional techniques including burnishing, clay slips, pressing techniques, and traditional carvings. 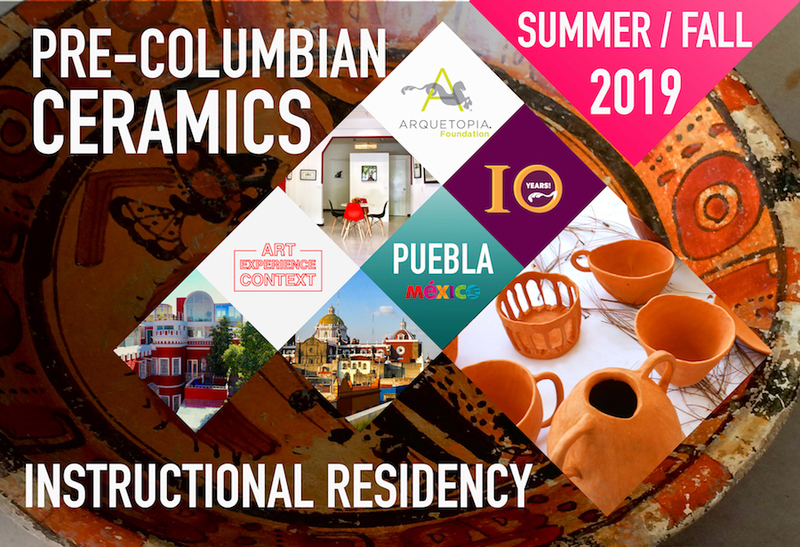 This residency is a comprehensive program to learn about the pre-Hispanic ceramic traditions of Mexico, focusing with a material experimentation, and including resources for a better understanding of the history and cultural context of ceramics in the region. Sessions of 5 weeks, comprised of 3 weeks instruction followed by 2 weeks of continued, self-directed production. Dates are not predetermined but are nominated by the applicant.